Ever wonder why the murky, green waters of the northern latitudes are different than clear, blue waters of the tropics? 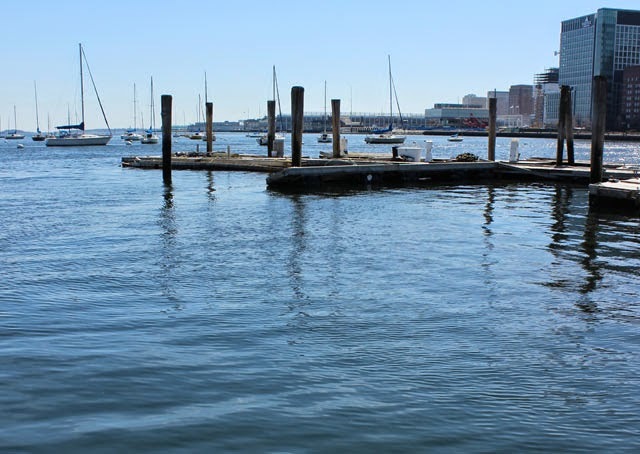 The murky green waters of Boston Harbor contain lots of life! 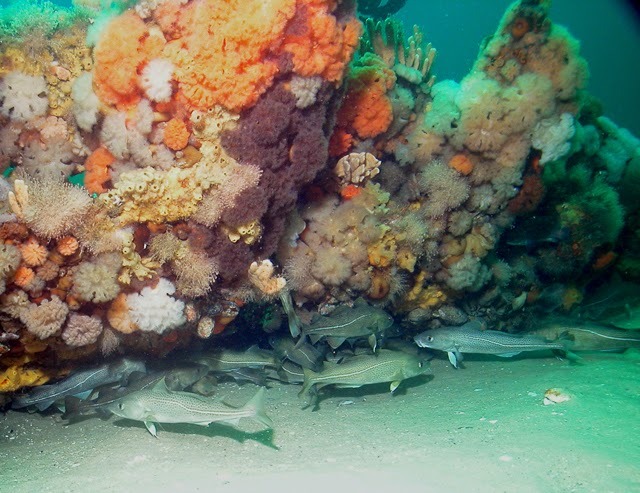 Or why New England had such large cod populations when the colonists arrived? Or why coral comes in so many beautiful colors? One reason: plankton! Well... so if plankton is such a big deal, why doesn't the Aquarium have a plankton tank? Well, one could argue that we do. Every tank in the aquarium is interconnected with plankton. 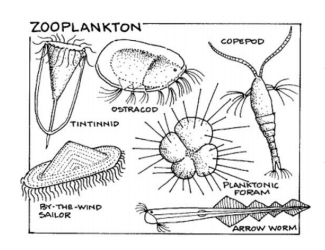 Like the term “cat,” plankton is an umbrella term used to describe a diverse set of organisms. The name plankton is derived from the Greek word planktos, meaning wanderer or drifter. Any creature carried by the ocean currents is considered plankton, from microscopic bacteria and algae to gelatinous siphonophores that grow in colonies longer than a blue whale. include copepods, brine shrimp, and sea jellies. 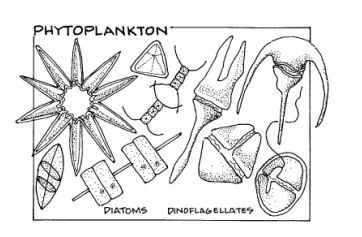 Other plankton, called meroplankton, grow out of their drifting phase and embrace a more benthic or pelagic form. Lobsters, crabs, urchins, sea stars, barnacles and many fish all start their life as plankton! Phytoplankton are the base of the food web. These organisms convert the sun’s energy, along with carbon dioxide and water, into chemical energy and oxygen through photosynthesis. Because they are the first link between the sun’s energy and the rest of the food web, they are referred to as “primary producers”. This chemical energy, in the form of carbohydrates, is the fuel that helps to power the rest of the food web. 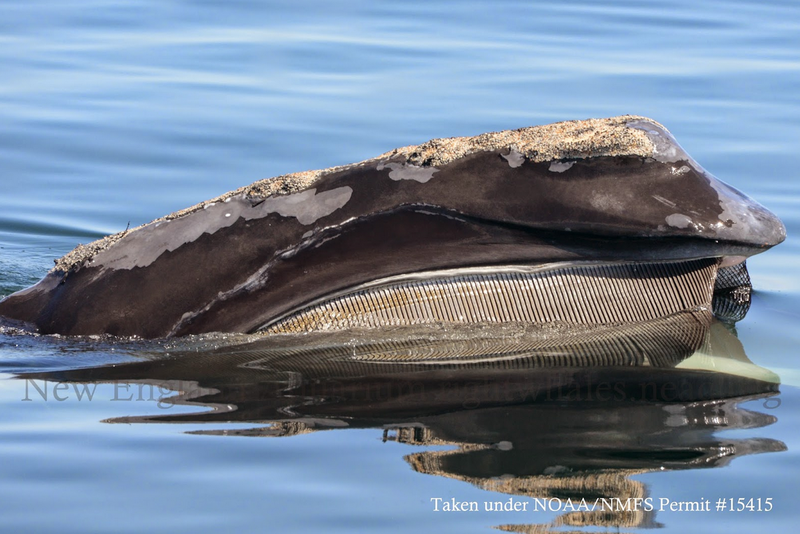 A right whale skim feeds on copepods. Watch video of a right whale feeding in Cape Cod Bay! 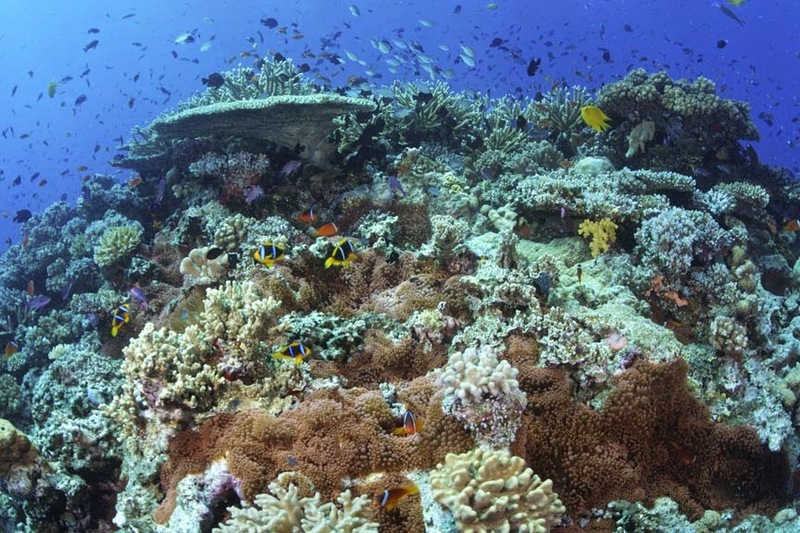 Corals, along with some other marine animals like upside-down jellies and giant clams, rely on photosynthetic organisms most commonly referred to as zooxanthellae. Zooxanthellae help create food for their host. The zooxanthellae, mostly planktonic dinoflagellates (see the sketch above), are ingested by the host, encased in a membrane to protect then and then they go to work. The carbohydrates they create fuel the corals (and give them beautiful colors) while the zooxanthellae get a home and needed nutrients. Everybody wins! This post comes to us from Aquarium educator Kim McCabe.